Renting a property abroad is becoming easier and easier. With online agencies, electronic signatures and reviews from previous tenants readily available, the process has become more transparent than ever. 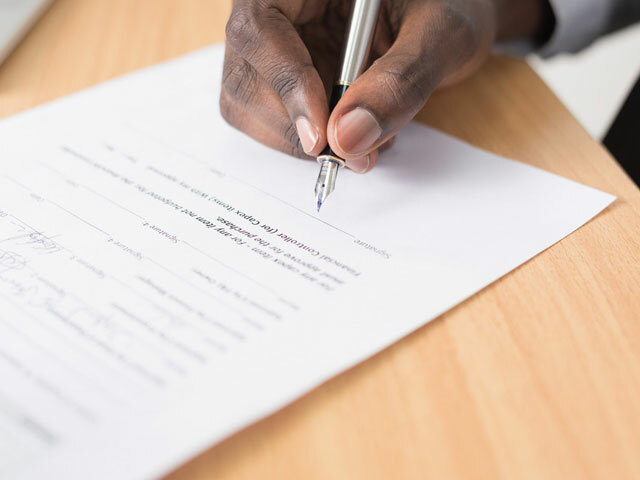 However, when it comes to signing the rental contract, many tenants are still in the dark about the rights that they are entitled to, and end up signing something that is unfair or unlawful. We’ve created a guide to the rights and responsibilities that every tenant in France has, so that you can consult your contract before you sign it and check that it includes the below conditions. Tenant’s rights – once the keys are handed to the tenant, the landlord cannot access the rented property without permission. Viewings for future tenants cannot be carried out on weekends or holidays, or for longer than 2 hours on weekdays. Tenant’s responsibilities – the tenant must allow the landlord access to the property for viewings on permitted days and to carry out essential maintenance, as long as the landlord has given notice. Tenant’s rights – the tenant can make minor changes to the property such as painting the walls or furnishing it differently (although it should be returned to its original state before the end of the tenancy. Tenant’s responsibilities – the tenant must not make structural changes to the property (such as knocking down a wall) and must repair any superficial damages such as holes from drilling before the end of the tenancy. Other major changes, for example painting the walls bright orange, must not be carried out without express permission from the landlord. Tenant’s rights – the landlord must keep the property in full working condition during the tenancy, and ensure basic levels of safety and security. They must also pay for and carry out major repairs. The tenant has the right to ask for a reduction in rent if repairs are not carried out within 21 days. Tenant’s responsibilities – the tenant must carry out minor repairs themselves and allow the landlord access to carry out essential maintenance. The tenant must take out home insurance if the landlord requests it. Tenant’s rights – the landlord cannot terminate the contract before it expires unless they are selling the property, want to use it for themselves or a family member, or the tenant breaches the contract (for example stops paying the rent). In these cases, the landlord must give 6 months notice for unfurnished, or 3 months notice for furnished properties. The landlord cannot evict a tenant during the winter (from November to March). If the landlord dies, the successor to the property cannot evict the tenant, and must continue to respect the rental contract for its full term. Tenant’s responsibilities – the tenant must give 1 months notice of termination of the contract for a furnished rental or 3 for unfurnished properties (although there are some cases where this 3 month term could be shortened to 1, such as the tenant losing their job). Tenant’s rights – the tenant has the right to use the property as they see fit: this includes having others to stay at no extra cost, as well as keeping pets. Tenant’s responsibilities – the tenant cannot sublet the property unless they have reached an agreement in writing with the landlord, and they may not charge more rent to the new tenant than they are paying themselves. The property also cannot be used for commercial reasons. Tenant’s rights – the deposit should not be more than one month’s rent for unfurnished properties or three months’ for furnished, and must be returned to the tenant within 60 days of them handing back the keys. The tenant does not need to pay for anything that they can prove they didn’t damage. The landlord cannot automatically assume that the tenant is responsible for any damages. Tenant’s responsibilities – the tenant should take photos and complete a detailed inventory with the landlord to prove the state of the accommodation at the beginning of the tenancy. The landlord has the right to deduct outstanding utility bills, rent payments and taxes, as well as charges for any damages, from the deposit. Tenant’s rights – the landlord cannot demand that the tenant pays more than the amount set out in the contract. The tenant has the right to ask for proof of payment (a “quittance de loyer”). Tenant’s responsibilities – the tenant must pay the rent in full by the agreed date, and must also pay for utility bills/ gas/ water/ taxes separately if they are not included in the contract. The law in France ensures that tenants are fairly well protected throughout the whole rental process, but while we hope that everything runs smoothly during your tenancy, your contract must not include anything that would stop you from taking the landlord to court if necessary. As this information is only a guide, you should contact your agency or landlord if you need help or more specific advice. Want to know more about keeping pets in your rental property? Check out our article on pets and furnished rentals.